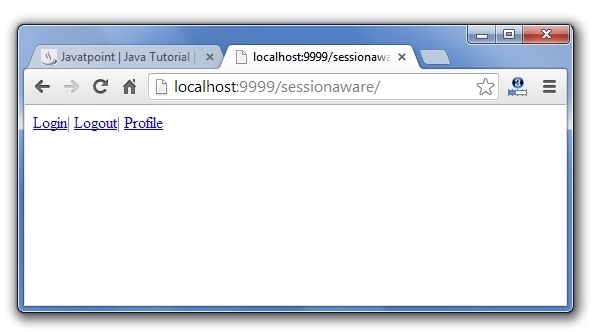 The SessionAware interface must be implemented by the Action class to store the information in the session scope. It contains only one method setSession. void setSession(Map<String,Object> map) struts framework calls this method by passing the instance of SessionMap class. The struts 2 framework passes the instance of org.apache.struts2.dispatcher.SessionMap. 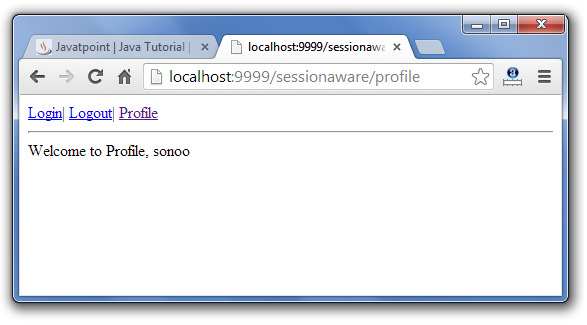 It extends the java.util.AbstractMap class which implements the java.util.Map.SessionMap. There are many useful methods of SessionMap class. public Object put(Object key, Object value) stores an attribute in the HttpSession object. public Object remove(Object key) removes the attribute for the specified key and returns the attribute value. public Object get(Object key) return a value for the corresponding key from the HttpSession object. public Set entrySet() returns a set object containing all the key and value objects set in the HttpSession object. public void invalidate() invalidates the current HttpSession object. public void clear() removes all the attributes set in the HttpSession object. This example contains three links login, logout and profile. You cannot click on the profile page untill you are logged in. After getting logged in, you may go to the profile page. If the end user clicks on the logout link, he will not be able to access the profile page. index.jsp for providing links to the login, logout and profile. 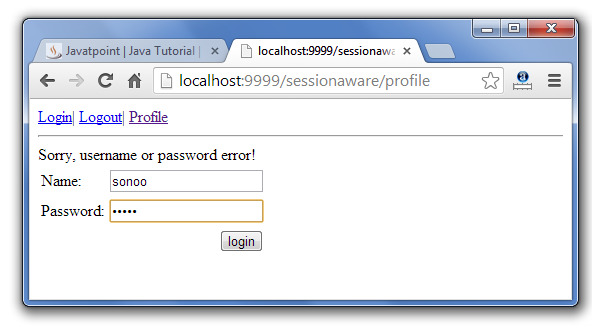 Login.java for defining login and logout logic. 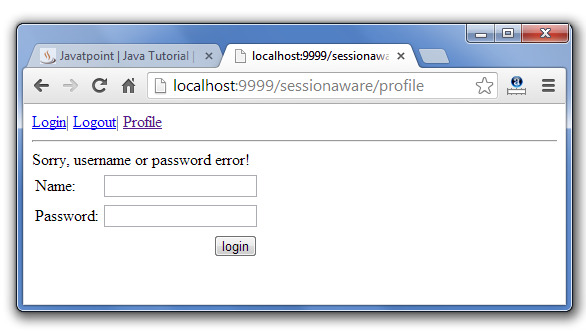 Profile.java for checking if the user is logged in or not. You need to add struts 2 and servlet library. This jsp page creates three links for login, logout and profile. This xml file defines one package and 4 actions. Each action defines at least one result page. For the loginprocess and logout actions, we are using the same action class but there invocation methods are different. This action class implements the SessionAware interface and overrides the setSession method to store the information in the session scope. 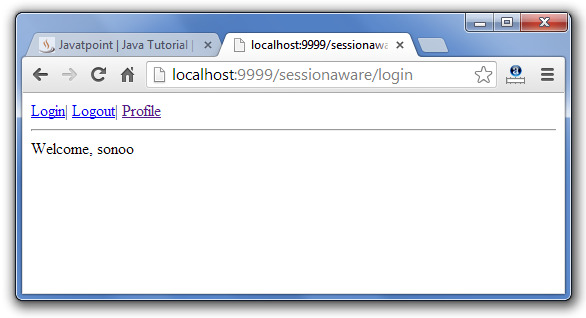 For logout, we are simply calling the invalidate() method of SessionMap. This class gets the information from the session scope, if any information is found in the session scope with login name, it returns success otherwise false. This page simply displays the successfully logged out message. This page prints the welcome to profile message. This page prints the message to login first and includes the login.jsp page. Now write your name for name and admin for the password. Now, click on the profile.